This is a Call to Action for engaging in political and spiritual activism on behalf of the waters of the planet. Join us for a FREE live call with a simple water blessing ritual. Details and instructions for calling in will be emailed to participants closer to the time of the event. Magic and the metaphysical arts have long been a strategy for spiritual grounding, consciousness expansion and resistance of oppression for radical folk. In this practical and hands-on series we’ll explore fundamentals of working with energy and mystical arts from a feminist, anti-oppression perspective. These tools are supportive for highly sensitive and empathic people and those seeking to ground their activism in spiritual practice. Who are your people? If you long for connection with your ancestral roots, healing for your lineage, and to be in right relationship with the past and future of your family (blood and chosen), join us for an exploration of creating ancestral practice. Centered around contemplative practices and ritual, you will receive a grounded foundation for building a bridge to honor and heal those who have come before. The physical, mental/emotional, and spiritual malaise that we are living with have a root in inherited ancestral patterns. Doing ancestral healing work is integral to shifting our course of planetary harm, and is not only transformative for individuals and the collective but a form of social justice activism. This event is suitable for anyone who has a calling to participate in planetary healing through ancestral lineage repair, whether your ancestors are known or not, beginning right where you are. In this 4 week group, we will journey through a process of transformation and liberation from systems of oppression through collective community care. Using techniques such as breath work, somatic embodiment practices, sound therapy, yoga, and meditation, we will empower ourselves with tools of not only resistance but of empowerment and freedom. Join us for a book group discussion of LOST CONNECTIONS by New York Times best-selling author Johann Hari. In this book Hari explores the underlying basis of anxiety and depression. 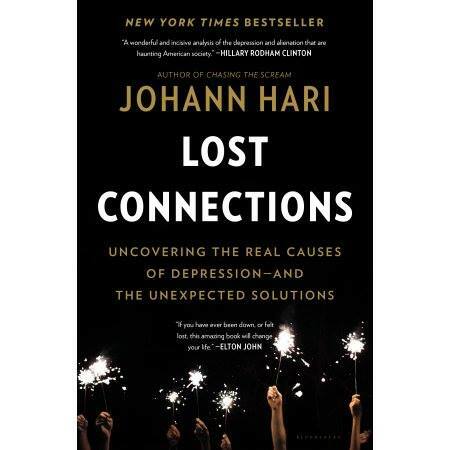 Through interviews with experts in medicine and neuroscience, conversation with diverse communities, and thorough journalistic research, Hari concludes there are nine causes of depression - all related to disconnection - and lays out possible paths for solutions. Book club participants are invited to purchase books through local independent community bookstore BOOKBOUND, who has generously offered a 20% discount for book club members. What really causes depression and anxiety – and how can we really solve them? New York Times best-selling author Johann Hari suffered from depression since he was a child, and started taking anti-depressants when he was a teenager. He was told that his problems were caused by a chemical imbalance in his brain. As an adult, trained in the social sciences, he began to investigate whether this was true – and he learned that almost everything we have been told about depression and anxiety is wrong. On a 40,000-mile journey across the world, Hari found social scientists who were uncovering evidence that depression and anxiety are not caused by a chemical imbalance in our brains. In fact, they are largely caused by key problems with the way we live today. Hari´s journey took him from a mind- blowing series of experiments in Baltimore, to an Amish community in Indiana, to an uprising in Berlin. They taught him a radically different story about why so many of us are in deep pain – and how we can find our way back. Once he had uncovered nine real causes of depression and anxiety, they led him to scientists who are discovering seven very different solutions – ones that work. LOST CONNECTIONS is an epic journey that will change how we think about one of the biggest crises in our culture today. Latinx are a powerful community with many names and a shared history of colonial violence. We will anchor ourselves individually and collectively to address topics of healing from colonialism. Colonialist systems of oppression have a neurobiological effect on our bodies and in this session will ground our exploration of healing ourselves through somatic practices. The intended outcome of this session is for participants to gain connections, practices, and a community to continue healing. 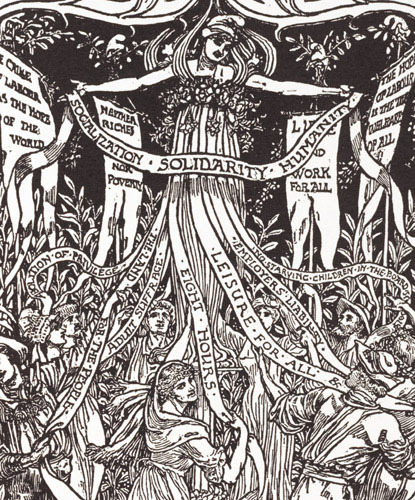 May 1st, or May Day, has a long history in worker's rights movements as well having very ancient roots in pagan traditions as a halfway point between Spring Equinox and Summer Solstice. Join us as we gather to honor resistance, fortify resilience and share resonance with a Beltane ritual. Sliding scale $15-25 per person. In many traditions, the time period between October 31st and November 2nd is recognized for being a time when the veil is thin between the living and the dead, and our Beloved Dead are more accessible to commune with. In truth, the dead are never gone, but this cross-quarter point in the year between the Autumn Equinox and Winter Solstice is a potent moment for honoring the ancestors. Join us for an evening of ancestor ritual, to honor and celebrate our ancestry. The Autumn Equinox marks the point in the year when the Equator passes the center of the Sun, and day and night are of equal length. Traditionally in the Northern Hemisphere the Autumn Equinox is celebrated as a time of harvest, reaping the rewards of the seeds we have sown in the growing season, and preparing the earth for dormancy. Join us for an Autumn Equinox ritual with vibrational healing circle, to assist you in releasing outdated patterns, reclaiming your sacred ground and allowing your essential medicine to come through. Trauma experienced by our parents and grandparents -- including abuse, wartime experiences, racial and gender-based oppression, poverty, and addiction -- can change our genetic expression through inherited trauma patterns. These patterns directly contribute to the recurring issues many of us experience, such as chronic fatigue, anxiety, depression, and blocks around creativity, money or relationships. Epigenetic science is now validating what shamanic traditions have known for thousands of years. Epigenetic research has revealed that simple lifestyle and vibrational healing techniques enable us to 'turn off' gene expressions associated with dis-ease states and turn ON gene expressions that create better health and greater well-being. These scientifically proven techniques are quite simple and take very little time to perform on a regular basis. Shamanic cultures have long understood that honoring the ancestors is a major key to our own health and happiness. When we clear trauma from our hearts, minds, and bodies, we are also healing our ancestral lineage - as well as clearing negative genetic patterning that would otherwise affect our children and future generations! - Gain a new perspective on leading-edge science and vibrational healing modalities. - Practice specific techniques to change your own genetic expression to improve your health, reduce disease risk, and experience more energy, wellbeing and inner peace. - Learn simple ways of communicating with helpful ancestors to clear personal and ancestral trauma. - Understand what ancient wisdom traditions say about our evolving experience of time and why quantum healing techniques are so powerful at this time. - Take part in the healing revolution on the planet! We are living in times of intense cultural change and opportunity for releasing outdated modes that no longer serve us. A crucial element in this transformation is the acknowledgment and healing of ancestral and collective trauma, loosening the hold that old patterns have on our current lives to allow the emergence of new systems. Trauma experienced by our ancestors -- including abuse, wartime experiences, racial and gender-based oppression, poverty, and addiction -- can change our genetic expression through inherited trauma patterns. These patterns continue to affect the structure of modern life and contribute to the societal, physical, mental, emotional and spiritual issues affecting us today. We who seek to transform society toward a greater inclusion, equality, social justice, environmental stewardship and life in harmony with nature, are turning to ancient healing practices to help shift these trauma patterns. Traditional cultures have long understood that honoring the ancestors is a major key to our own health and happiness. When we clear trauma from our hearts, minds, and bodies, we are also healing our ancestral lineage - as well as clearing negative genetic patterning that would otherwise affect our children and future generations! Pre-registration is required to reserve a space, $30 per person. For more information contact drquinn@drdianaquinn.com.